S -1° 39' 0" and E 29° 32' 5"
Gatagara in Nyabihu District (Western Province) is a town located in Rwanda about 42 mi (or 67 km) north-west of Kigali, the country's capital town. Time in Gatagara is now 09:25 PM (Sunday). The local timezone is named Africa / Kigali with an UTC offset of 2 hours. We know of 8 airports closer to Gatagara. The closest airport in Rwanda is Ruhengeri Airport in a distance of 12 mi (or 20 km), North-East. Besides the airports, there are other travel options available (check left side). There are two Unesco world heritage sites nearby. The closest heritage site is Bwindi Impenetrable National Park in Uganda at a distance of 51 mi (or 82 km). Since you are here already, you might want to pay a visit to some of the following locations: Gisenyi, Goma, Kisoro, Kibuye and Gitarama. To further explore this place, just scroll down and browse the available info. Let's start with some photos from the area. 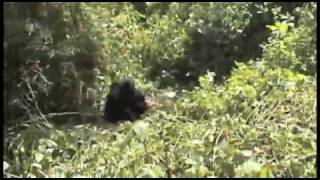 More Silverback "action" (i.e. eating) from the Amahoro Group. 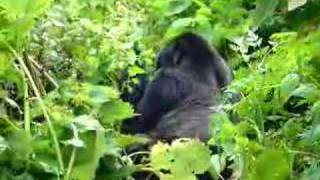 my trip to see the mountain gorillas in Rwanda. Rwanda. See on map http://tours-tv.com/en/Buhinga . 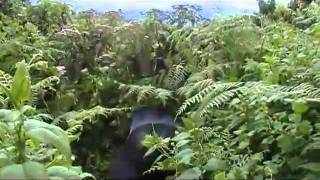 Trekking with Gorillas in Rwanda's Parc National des Volcans, Nov 2010. 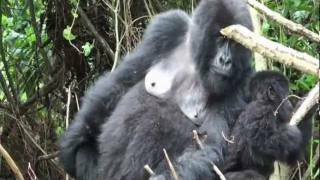 Volcanoes National Park (French: Parc National des Volcans) lies in northwestern Rwanda and borders Virunga National Park in the Democratic Republic of Congo and Mgahinga Gorilla National Park in Uganda. 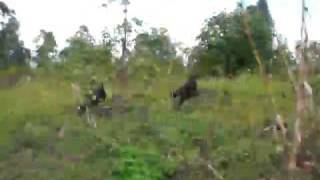 The national park is known as a haven for the mountain gorilla. 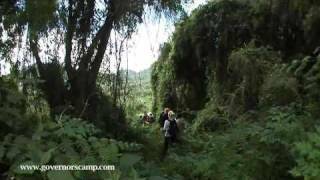 It is home to five of the eight volcanoes of the Virunga Mountains, which are covered in rainforest and bamboo. The park was the base for the zoologist Dian Fossey. Located at -1.48333, 29.5333 (Lat. / Lng. ), about 12 miles away. 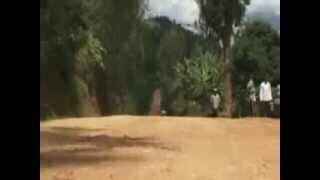 Ruhengeri is a city and capital of Musanze District in the Northern Province of Rwanda. Some sources now refer to the city itself as Musanze, after the district in which it lies. It lies near the twin lakes of Lake Burera and Lake Ruhondo and is the gateway city to Volcanoes National Park and the famous Mountain Gorillas in the northwestern part of the country. Located at -1.5, 29.6333 (Lat. / Lng. ), about 12 miles away. 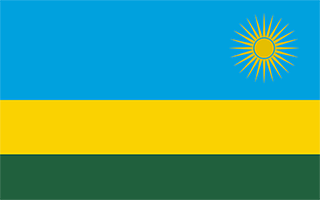 Musanze is a district in the Northern Province of Rwanda. Its capital city is Ruhengeri, which is also sometimes known as Musanze. Located at -1.5, 29.6 (Lat. / Lng. ), about 11 miles away. Nyabihu is a district (akarere) in Western Province, Rwanda. Its capital is Buhoma (Karago). Located at -1.65, 29.5 (Lat. / Lng. ), about 2 miles away. 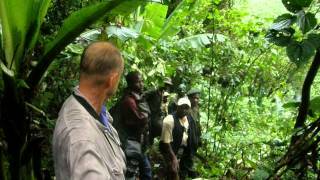 Gishwati Forest is a protected reserve in the north-western part of Rwanda, not far from Lake Kivu. The reserve’s forests were largely intact in 1978, and substantial forest cover still remained in 1986. During the Rwandan Genocide, wave after wave of refugees arrived in Gishwati Forest and began clearing it, often for subsistence farming. By 2001, only a small circular patch of native forest remained, 1,500 acres of the forest’s original 250,000. Located at -1.74722, 29.427 (Lat. / Lng. ), about 10 miles away. Ruhengeri Airport is an airport in Rwanda. Located at -1.5, 29.6336 (Lat. / Lng. ), about 12 miles away. These are some bigger and more relevant cities in the wider vivinity of Gatagara. These are the most popular locations in Rwanda on Tripmondo.